Also, it's a proven fact that your ghost/spirit will have the same haircut that you do when you die. So be sure not to have one that makes you look like a tool. 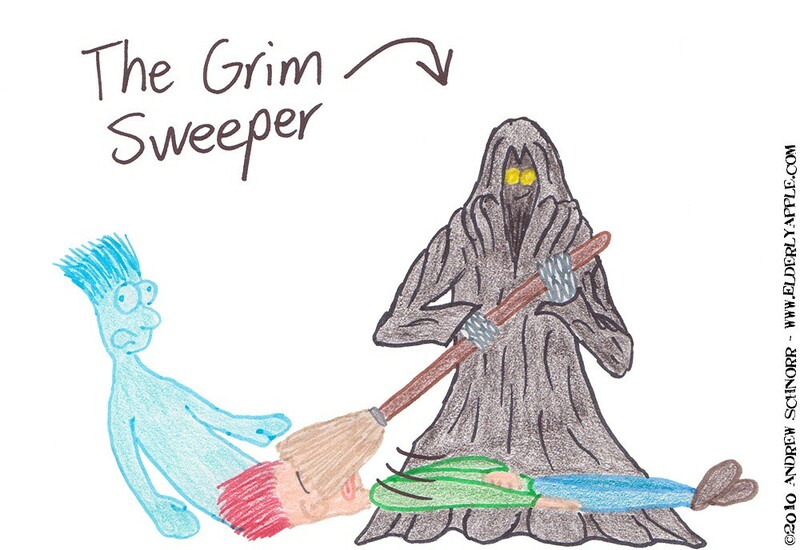 Here it's my Birthday today and, like us all, I'm not getting any younger - the first thing I see this morning is the Grim Sweeper..... are you trying to tell me something? Love the Sweeper's maniacal little grin. As as for your comment about hairstyle - you know, that really ruins any chance of me ever enjoying a full head of hair again. Thanks a lot, once again my dreams have been dashed. awww, if that ain't the cutest little death ever!